The units were great and clean and move in was seamless. Everything is great. Unit was clean and well lit. Quick, easy to unload, and great people. The representative there was super helpful and helped us get the cheapest price possible. The place has good security and beats most of the prices in the area. 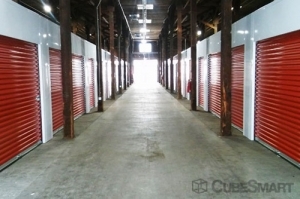 Itâs also very clean, at least in the smaller storage spaces where I rent. Katherine is a friendly and helpful manager. Great storage! The management team is very helpful. The units are clean and well cared for. The staff was on point! Superior service and meticulously cleaned. Thank you. Great location and at a very hard time. Katherine was so on point with everything. You guys have a star employee. So glad i found this location! My rep was FANTASTIC! Got me in and ready to roll in no time! I called to reserve a unit for my college aged son. They told me he could fill all paperwork out on his move in day. I received 2 confirming emails saying I had reserved the unit. When he showed up to the facility, they said his reservation was cancelled and they had called and emailed multiple times. I never received a phone call and only received the two emails confirming the reservation. They worked hard to get him in a unit but it is more expensive and they only discounted the first month to the rate we agreed upon. I reserved a small space for my son and received 2 emails confirming my move in day. When he arrived at the facility to complete the paperwork, he was told the reservation was cancelled and that they had sent an email each day and made several phone calls, neither of which happened. For some reason they had the local facility as my phone number which was not even close to my number and I only ever received 2 confirming emails. Facility is nice and they tried to work with him to give him a larger space with only one month of the 6 months discounted but that is very frustrating. Bottom line is you need to call to confirm you really have a reservation after you make a reservation. Excellent service, clean environment, excellent price! Excellent, central location in Richmond. 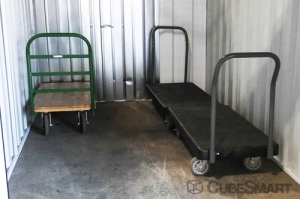 I found this storage site through SpareFoot. 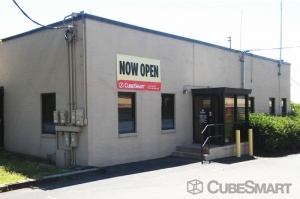 The facility itself was immaculate, the service was extremely friendly, and the price was perfect! I highly recommend this facility! Aj was amazing one of the best customer service experiences I've had in a long time. Insurance policy is mandatory and not disclosed at the outer of services. The staff is very friendly. The facility is very clean and well lit at night. Accessing your unit is also user friendly. AJ Smith the GM was very professional and helpful during my transaction. 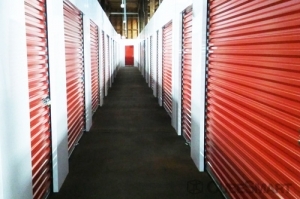 Awesome customer service and very clean affordable storage units. Would definitely recommend. Great prices and nice facility. Just moved stuff in the place is nice they have restrooms and water fountains in side storage building. Check in quick and friendly service. Overall exceeded my expectation. Will continue to do business with and would recommend. 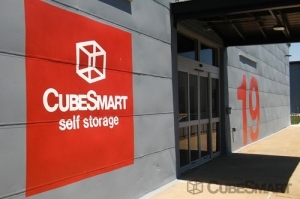 AJ and Katherine were amazing.Cube storage is the best way to go. It's clean. Secure. Easy to access. We love it!!! It's also got amazing prices for the units. 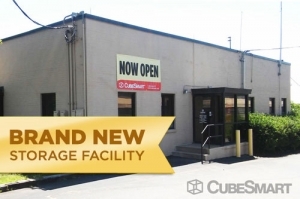 I know where all be going for all my future storage needs. I've also already recommended it to many of my friends. staff is attentive and very helpful. I love my unit and the price! The bathrooms require regular cleaning despite rare usage. Brand new, still under construction. Clean. I like the loading dock feature. Unit as expected. Friendly management. Cons: mandatory insurance. Not a great location for me, a little far. Great customer service, very attentive and caring! Customer service is very reasonable and local manager is knowledgeable and nice.